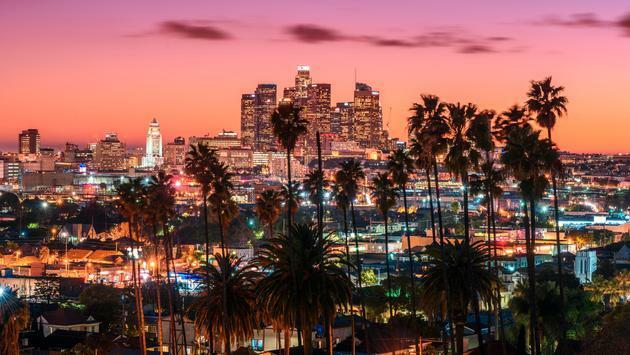 New restaurants, hotels, shopping experiences and more are on tap for 2019 in Los Angeles. Add the city’s warm weather to the mix and its many cultural offerings (there are many new developments on this front as well) and you have a truly inspired winter getaway. 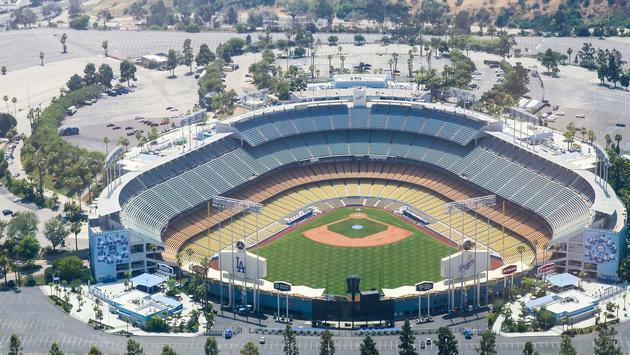 For sports fans, Los Angeles has plenty of games to choose from across three professional sports teams with the Lakers, Kings and Rams. And on the dining scene, new restaurants like chef Keith Korbin’s Alta Adams and Jessica Largey’s Simone continue to push the dining envelope. Foodies will want to mark their calendars for dineL.A., which runs through January 25 with specially priced lunch and dinner menus at more than 400 restaurants, including exclusive series tasting menus debuting this season at nearly 20 of the best restaurants across L.A., including Providence, Gwen, and Scratch Bar & Kitchen. 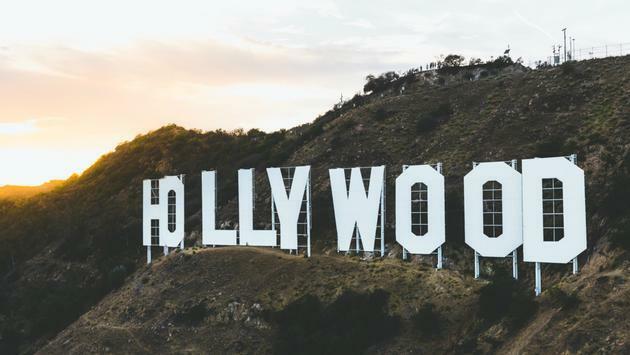 Here are some of the highlights of the newest and latest offerings in Los Angeles, a sampling of a more comprehensive list recently released by the Los Angeles Tourism & Convention Board. AC Hotel Beverly Hills is a newly opened Marriott property conveniently located on Wilshire Boulevard. Steps from the famed museums of the Miracle Mile and just blocks from the glamorous city of Beverly Hills, AC Hotel features 176 rooms spread through 11 stories in a former 1950s office building that has been completely modernized. Key amenities include a rooftop pool, a fitness center, a restaurant lounge, free wi-fi and plenty of meeting space. The hotel began welcoming guests in September 2018. Just north of the Staples Center, L.A. LIVE and Los Angeles Convention Center, The Bricks is a proposed hotel in City West expected to open in 2019. It will join the Wyndham Hotels’ recently launched Trademark Collection and is set to feature 200 rooms encompassing 6 floors. The property is sure to entice business travelers, offering 10,000 square feet of meeting space. Proper Hospitality, the new brand headed by former Viceroy Hotels Chief Brad Korzen, is slated to debut their first Los Angeles hotel with a Downtown L.A. property located at the site of the former Case Hotel. The 13-story property, which was originally built in 1924, will have 148 rooms and is slated to open in spring 2019. AccorHotels’ Fairmont badge will take over the landmark Century Plaza hotel in Century City when the property reopens as Fairmont Century Plaza in late 2019. The redeveloped five-star property will boast 400 guestrooms and 63 luxury residences. Expected amenities include a swanky rooftop pool, a world-class 14,000-square-foot spa and 24-hour fitness center. The project will also have 290 luxury residences in the project’s two new 46-story towers. By early 2019, the 10-room boutique property, Firehouse Hotel, will open in Downtown’s Arts District. At the intersection of 7th and Santa Fe, the hotel is located within a 1928 built structure known as The Engine Co. No 17 Building, which functioned as a fire station until 1980. The 8,800-square-foot, two-story hotel will offer visitors both retail and restaurant space. The 60,000-square-feet Godfrey hotel will be a high-end boutique hotel that addresses the lifestyle of the contemporary jet-setting professional. The project features amenities that will allow travelers to conduct business both locally and remotely while enjoying the unique room and food experiences that the Godfrey brand has become known for in Chicago and Boston. The property is slated to open in mid-2019 with 220 rooms, a rooftop pool and a casual steakhouse called About Last Knife. The first L.A. project for Grupo Habita, a hotel group that develops some of the hippest hotels in Mexico City, Chicago and New York, will take over a 109-year-old brick warehouse in the Arts District, transforming it with modern accommodations, a rooftop lounge, garden and pool. Construction on the property is ongoing with a projected opening date of 2019.
h Club Los Angeles is a membership-based club for L.A.’s creatives that originated in London. Started by Microsoft co-founder Paul G. Allen and musician Dave Stewart, the five-story property will have 35 guest rooms available for booking by the public and club members. Non-members booking accommodations are given temporary membership during their stay to enjoy all amenities including a tea room, pool terrace, co-working space, gym, 49-seat screening room and more. The h Club will open February 9. Chic British brand Hoxton will debut The Hoxton, LA in a transformed 1925 building that was once the headquarters of the LA Railway Authority. Located in Downtown L.A.’s booming Fashion District at 11th and Broadway, the 10-story hotel will feature 174 guest rooms, three restaurants, including one on the roof, multiple bars and a rooftop pool when it debuts in June 2019. Oceanwide Plaza, the mixed-use project being built adjacent to STAPLES Center and L.A. LIVE, will include L.A.'s first hotel under the Park Hyatt luxury badge. Slated to open in March 2020, the Park Hyatt Los Angeles will have 184 rooms, including 34 suites. 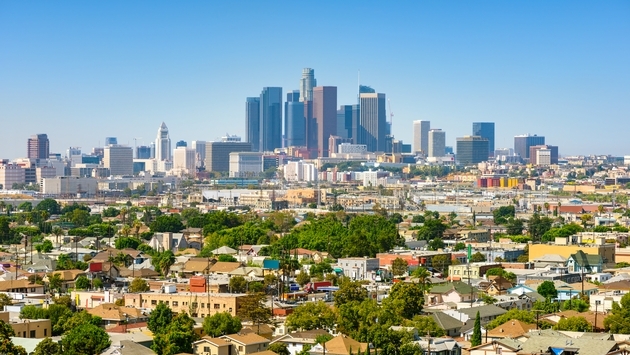 The New York-based micro-suite specialist will enter Los Angeles with the redevelopment of the old Hotel Cecil site, which houses the Stay on Main budget property as well as approximately 300 residential units. The Pod hotel will have 340 rooms when it opens in mid-2019. By late spring 2019, the Silver Lake Pool and Inn will open at Sunset Junction in Silver Lake, just south of the lively intersection of Santa Monica and Sunset. The 54-room boutique property will be run by Palisociety Hotels and is set to feature an elevated pool deck and Marco Polo, a coastal Italian inspired outdoor restaurant and bar. The London-based Soho Warehouse is the second House in Los Angeles and third in California and will open in April 2019. Located in the Arts District on the cusp of the Industrial District in Downtown L.A., Soho Warehouse will span more than 110,000 square feet, making it one of the biggest standalone Houses and the first with bedrooms on the West Coast. The property will include bedrooms, a gym, club spaces and a rooftop with a pool. Just feet from the sand of Hermosa Beach with 180-degree panoramic ocean views that stretch from Rancho Palos Verdes to Santa Monica, Strand & Pier will be a full-service boutique hotel with 111 rooms. As part of Provenance Hotel Group, the hotel will have a rooftop pool and public terrace, five restaurants, a spa and a fitness center. Strand & Pier will open by early 2020. Two Roads Hospitality’s Thompson lifestyle brand, which previously operated the Hollywood Roosevelt, will return to the area in mid-2019 with a newly-built property on Wilcox Avenue between Hollywood and Sunset Boulevards. The 200-room hotel, to be built by Dream Hollywood developer Relevant Group, will have a rooftop deck with a pool. With lush green space and an array of communal amenities, this new Tommie Hotel is designed to entice the young professional crowd exploring Hollywood to stay for the night or weekend. The Tommie Hotel Los Angeles sits at the intersection of Wilcox and Selma Avenues in Hollywood, adjacent to the existing Mama Shelter hotel. The property’s anticipated opening is 2020. The 250-room W Los Angeles Downtown will be located across the street from L.A. LIVE and STAPLES Center and will be the W brand’s third location in Southern California. The hotel will feature a spa, outdoor pool deck and destination restaurants along with approximately 15,000 square feet of meeting and event space perfect for the modern business traveler. The hotel is slated to open by mid-2020. The Wayfarer DTLA is a community-focused hotel coming to Downtown L.A.’s historic Broadway Corridor in April 2019 in the former Ritz Milner building. The property will feature 156 rooms, a shared guest kitchen, a rooftop deck, basement bar and stairwell gym. This hotel in the historic downtown Broadway Corridor will undergo an extensive beautification and renovation. Rockefeller Kempel Architects, who spearheaded the beautiful renovation of Hotel Figueroa is leading this project, which will be the second hotel under the Wayfarer name, the first located in Santa Barbara. The first U.S. West Coast property under Marriott International and Ian Schrager’s Edition lifestyle brand will open on West Hollywood’s iconic Sunset Strip in 2019. The hotel will have 190 rooms, over 5,200 square feet of meeting space, a lobby lounge, spa and rooftop pool. The Academy of Motion Picture Arts and Sciences is building the world’s leading film sciences museum in the heart of Los Angeles. Designed by Pritzker Prize-winning architect Renzo Piano, the six-story Academy Museum will contain state-of-the-art galleries, exhibition spaces, movie theaters, educational areas, and special event spaces. The museum is planned to open in late 2019. Continuing the Ahmanson Theatre 2018-2019 season is Matthew Bourne’s dialogue-free interpretation of Cinderella, which will run from February 5 through March 10. The production is billed as a thrilling and evocative love story that is set in war-torn London during World War II. Through February 10, A Journey That Wasn’t is on view at The Broad. The exhibition brings forth the rich array of artworks in the Broad collection that capture the passage of time by including artists who use devices such as rhythm, repetition, duration artifice and appropriation to investigate and distort our perceptions, memories and emotions. It explores complex representations of time and its passage. The Broad’s new exhibition includes more than 50 works drawn from the museum’s collection of postwar and contemporary art. The featured works in the exhibition—ranging from painting and sculpture to photography, film and installation—examine the passage of time by alluding to nostalgia or sentiments about aging, often depicting specific places in states of decay; these works can act as documentation, memorial or symbol. On May 26, 1963, Rev. Dr. Martin Luther King Jr. addressed upwards of 40,000 people at Wrigley Field in South Los Angeles. Los Angeles Freedom Rally, 1963 pays tribute to that immense civil rights rally which predated the famous 1963 March on Washington by three months with powerful, historic photographs and ephemera. The special exhibition is on display now through March 3. Also, on display through March 3, is The Notion of Family. Artworks, namely historical sepia-tone photographs, from the nineteenth to the twenty-first centuries chart a trajectory of African American family and togetherness over generations in this exhibit. 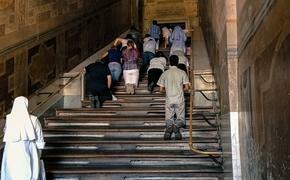 A new chapter of ancient Egyptian history was unearthed to the world with the debut of KING TUT: Treasures of the Golden Pharaoh, an extraordinary and exclusive exhibition celebrating the 100-year anniversary of the discovery of his tomb. Presented by the Egyptian Ministry of Antiquities, Exhibitions International, IMG and the California Science Center, the immersive exhibition displays more than 150 real artifacts from Tutankhamun's (also known as King Tut) tomb. On display through January are items the Boy King himself used in life and in death, including: golden jewelry, elaborate carvings, sculptures, and ritual antiquities. In later winter, early spring 2019, Dogs! A Science Tail will debut. This national traveling exhibition of 7,000-9,000 square feet explores the bond between humans and dogs. Visitors will learn where dogs came from, see how they experience the world and what makes the human and dog bond so special. The Disgusting Food Museum will run at A+D Architecture and Design Museum in the Arts District through February 17, 2019. This unique pop-up has 80 of the world’s most disgusting foods for adventurous visitors to smell and taste. The museum aims to encourage the exploration of the world’s strangest food and challenge visitors’ notions of what is and what isn’t edible. Set to coincide with Frieze Los Angeles, Felix LA is a new art fair by collector Dean Valentine, taking place at The Hollywood Roosevelt from February 13 through February 17. This festival of contemporary artworks will feature art from 38 international dealers. The lineup’s galleries will hail from its host city of L.A., as well as New York, Chicago, San Francisco, China, U.K., South Africa, Germany and Australia. On February 5, FIDM Museum will present the 27th annual Art of Motion Picture Costume Design exhibition. Featuring over 100 costumes from more than 20 films, including Academy Award-nominated designs, the exhibition is free-to-the-public and runs through April 12. The international phenomenon of the contemporary art world that is Frieze makes its debut in Los Angeles at Paramount Pictures Studios from February 14 through February 17. Originally launched in the U.K. and since expanded to New York City, Frieze Los Angeles will bring together nearly 70 of the most significant and forward-thinking contemporary galleries from across the City of Angels and around the world. It will also include a curated program of conversations, site-specific artists' projects and film. Until March 25, there will be two new exhibitions at The Geffen Contemporary at MOCA. The first, Zoe Leonard: Survey, is the inaugural large-scale overview of Zoe Leonard’s American work in photography and sculpture. The second exhibition titled Laura Owens is a mid-career survey of the Los Angeles-based, innovative painter Laura Owens, highlighting the significant strides Owens has made in recent years and showing how her early work since the 1990s sets the stage for gripping and groundbreaking new paintings and installations. The J. Paul Getty Museum at The Getty Center will host six temporary exhibitions this winter. MONUMENTality, an in-depth look at monuments that prompts viewers to consider why some monuments endure and why others fall, is on display now to April 21. Spectacular Mysteries: Renaissance Drawings Revealed, an investigative look at who was behind the master drawings of the Italian Renaissance from both the Getty collection and other private collections, runs through April 28. Artful Words: Calligraphy in Illuminated Manuscripts highlights handmade books and the art form of calligraphy and is available to the public until April 17. 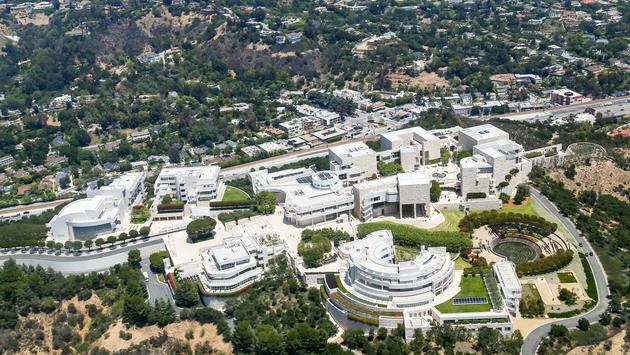 These are just some of the many exhibits on display at The Getty Center. Located in the up and coming stretch of 7th street in the Arts District, Institute of Contemporary Art, Los Angeles will welcome a new exhibition titled Maryam Jafri: I Drank the Kool-Aid But I Didn’t Inhale. Maryam Jafri work is informed by a research-based, interdisciplinary process, marked by a series of narrative experiments sitting at the crossroads of cultural anthropology and conceptual art. This exhibit presents a new staging of Jafri’s Product Recall: An Index of Innovation which combines framed texts and “still life” product photography of unsuccessful food products from the private archives of anonymous food industry figures. Kaiju vs. Heroes: Mark Nagata’s Journey through the World of Japanese Toys is on display at the Japanese American National Museum through March 24. Mark Nagata was nine-years-old when he received a package of Japan’s most popular toys from his aunt and uncle who were serving on a U.S. military base in the country. Inspired by these toys and Japanese pop-culture, Nagata became a toy collector and toy designer, finding his life-long passion. Kaiju vs. Heroes is a dazzling array of hundreds of vintage Japanese vinyl toys from his own extensive collection. Once art director at MOCA, Jeffrey Deitch returned to the Los Angeles art scene with a new Hollywood gallery. The space is near a row of galleries off Highland Avenue being referred to as Hollywood’s arts district. Chinese artist and activist Ai Weiwei is the first artist to have an exhibit on display in the space, titled Ai Weiwei: Zodiac a museum-scale exhibition of new and historic works available to the public. Now in its 24th year, the LA Art Show returns to the Los Angeles Convention Center in Downtown Los Angeles from January 23 to January 27, 2019. Considered the most comprehensive international contemporary art show in America, the LA Art Show will feature more than 200,000 square feet of exhibition space including multiple exhibition themes from some of the country’s most prominent art galleries. Day admission tickets and multi-day passes are now available to the public. La Plaza Cocina will be the first-ever museum and teaching kitchen dedicated to Mexican food. Set to open in 2019 at LA Plaza Village, the multi-disciplinary venue will aim to celebrate and educate visitors on Mexico's culinary heritage, from its indigenous roots to its contemporary interpretations. Through an array of exhibitions, cooking classes, lectures, workshops, and culinary festivals, LA Plaza Cocina will showcase the very best in the Mexican kitchen and its everlasting mark on American culture. Winter welcomes three new exhibitions to the ever-impressive roster at Los Angeles County Museum of Art (LACMA). The Jeweled Isle: Art from Sri Lanka is on display until June 23. The Jeweled Isle is truly a must-see as it is the first comprehensive survey of Sri Lankan art organized by an American museum. Presenting nearly 250 works addressing nearly two millennia of Sri Lankan history, the exhibit presents precious decorative items crafted from precious materials like gold, silver, and ivory, as well as a myriad of 19th-century photographs. From January 20 through April 7 at the Resnick Pavilion, there will be a look at the unknown American artist Flora Mayo, whom the Swiss sculptor Alberto Giacometti had a romantic affair with in the 1920s, and has become all but a footnote in his biography. Also at the Resnick Pavilion beginning February 17 and running through June 9 is Charles White: A Retrospective. The exhibit is the first major 21st century retrospectives on Charles White, a famous African-American civil rights activist, and mid-century artist. White, who called the major cities of Chicago, New York, and Los Angeles home at one point was a suburb hand-drawn draftsman. Close to 100 drawings, prints and oil paintings will be on display. The world-renowned Los Angeles Philharmonic is in the midst of celebrating its 100th year during the 2018 – 2019 season. Led by Music & Artistic Director Gustavo Dudamel, this internationally renowned orchestra harnesses the transformative power of live music to build community, foster growth and nurture the creative spirit. Some of the upcoming, must-see performances through February at the Walt Disney Concert Hall include Celebrating John Williams, a tribute to the famous film score composer from January 24 through January 27; Chinese New Year, a fantastic collision of east and west by the electrifying young violinist Ray Chen on February 6 through February 7; and William Grant Still & the Harlem Renaissance: Symphony No. 1, a performance by Still, who is considered the Dean of African-American composers and most associated with the Harlem Renaissance, on February 16 through February 17. Los Angeles will welcome an exciting new museum from George Lucas’ personal collection of art, which consists of about 10,000 paintings and illustrations including works by Rockwell, N.C. Wyeth and R. Crumb, along with Hollywood memorabilia from films such as “Star Wars” and “The Ten Commandments.” The planned 275,000-square-foot, $1-billion museum will be located in Downtown L.A.’s Exposition Park and targeted to open by 2021. Debuted in fall 2018 and running through March 3, famed Chinese artist and activist Ai Weiwei is the third Project Series artist to make use of the Foundation’s Theater Gallery in a solo exhibition titled Ai Weiwei: Life Cycle. Life Cycle is a sculptural response to the world’s refugee crisis and references his 2017 monumental sculpture Law of the Journey. Running through March 11, One Day At A Time: Manny Farber And Termite Art is an exhibition that draws its inspiration from American film critic and painter Manny Farber and his legendary 1962 essay “White Elephant Art vs. Termite Art.” This experiment exhibition is a cross between a monographic exhibition and a group show. One Day at a Time: Manny Farber and Termite Art takes Farber’s idea of termite art as a starting point for assembling works by a diverse group of contemporary artists who explore the problems and pleasures of the everyday. Thirty artists and more than 100 works of painting, sculpture, film, video, and photography are featured. Special exhibit Art of the Jewel: The Crevoshay Collection opened in December 2018 and runs until to May 12, 2019. The Gem and Mineral Vault at NHM features over 50 luxurious pieces of jewelry—including earrings, bracelets, and brooches—made from California tourmaline, Montana sapphire, moonstone, pearl, and black diamond. The Norton Simon Museum proudly presents a new exhibition and installation this winter. Once Upon a Tapestry: Woven Tales of Helen and Dido is on display through May 27. The exhibit showcases exquisite tapestries and rare, full-size cartoons that illustrate two iconic love stories found in the classic poetry epics the Iliad and the Aeneid from as early as the 16th and 17th centuries. Until March 25, Titian’s Lady in White, c. 1561, is on loan from Gemaldegalerie Alte Meister in Dresden will hang at the Norton. The painting features a beguiling young woman, dressed in white satin, bejeweled with gold, precious stones and her finest pearls, holding a flag-shaped fan called a ventuolo. Its installation marks the first time this painting has been on view in Southern California. It will hang in the Museum’s 16th and 17th-century art wing, near works by the Titian’s contemporaries, such as Bellini and Giorgione. In the year 79 A.D., the eruption of the infamous Mount Vesuvius buried the town of Pompei, Italy alive. Running through April 21, The Reagan Library displays Pomepeii: The Exhibition. Featuring nearly 200 artifacts, hidden from view and forgotten for centuries until rediscovered more than 250 years ago, Pompeii: The Exhibition includes frescoes, mosaics, gladiator helmets, armor, weapons, plates, furniture, jewelry, statues and more. On display until March 10, NOTORIOUS RBG: The Life and Times of Ruth Bader Ginsberg comes to the Skirball Cultural Center marking the first-ever exhibition about the trailblazing Supreme Court Justice-turned-cultural icon. Another exciting art fair for winter 2019, stARTup LA is set for the weekend of February 15 to February 17 at The Kinney Hotel in Venice Beach. More than 60 up-and-coming artists will display their work in transformed hotel rooms serving as individual exhibition spaces with pieces up for sale to art lovers. Running through February Dodger Stadium hosts the Third Annual Pop-Up Museum presented by Mastercard. This year’s exhibition highlights the astounding career of baseball great and first African-American player in Major League Baseball, Jackie Robinson, known affectionately as number 42 as well as the first class of Dodger Legends: Don Newcombe, Steve Garvey, and Fernando Valenzuela. Tickets can be purchased separately or at a discounted rate for those already participating in a stadium tour. California’s tallest open-air observation attraction debuted a full-service bar, crowning Downtown Los Angeles as one of the highest lounges in Southern California. Here, a new #ThrowBackThursday program serves up candy-inspired cocktails and retro music videos for a historical happy hour. Gastronomes in seek of an intimate holiday affair can take advantage of a newly launched Chef’s Table package with 4- and 6-course dinners prepared by Chef Gilda in OUE Skyspace LA’s private kitchen. As the Arts District continues to blossom with new openings of every sort, the creative agency Two Bit Circus opens a brand-new VR and arcade amusement park of the same namesake spearheaded by Eric Gradman and Brent Bushnell. Inspired by the global blockbuster franchise, the all-new DreamWorks Theatre featuring “Kung Fu Panda” is now open and takes guests on a thrilling journey that fuses captivating storytelling with cutting-edge visual effects for a highly engaging experience. 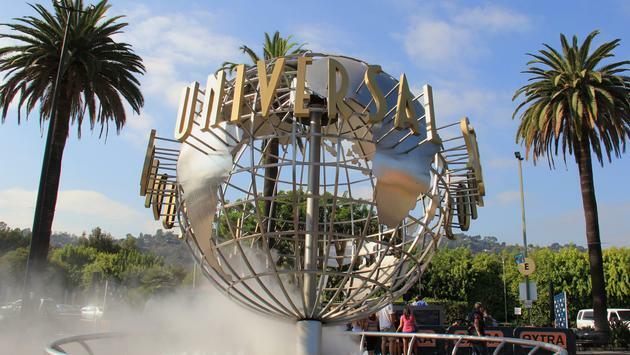 Coming in 2019, Universal Studios Hollywood will debut the highly anticipated Jurassic World Ride. Drawing from the favorite elements of the original “Jurassic Park—The Ride,” this next generation thrill ride will be completely reimagined with never-before-seen dinosaurs, enhanced storytelling and state-of-the-art technology. The Stage 48: Script to Screen finale at the must-visit Warner Bros. Studio Tour Hollywood will now feature authentic props, sets, and costumes from the wildly successful films Crazy Rich Asians and A Star is Born. The temporary installation which encourages visitors to get lost in love is an immersive experience into these romantic box-office hits that shone brightly in 2018. Originally from the South L.A. neighborhood of Watts, native Angeleno and chef Keith Corbin has opened the highly anticipated restaurant Alta Adams. Chef Corbin, who learned how to cook from his grandmother and held his first professional job at Locol, Daniel Patterson and Roy Choi’s groundbreaking fast food restaurant, is honing the craft of California soul food. Alta Adams, which takes a healthier California-style to traditional soul food using farm-to-table ingredients, is part of the Daniel Patterson Alta family and aims to be an inclusive setting, serving comfort food and great cocktails that bring people together in the community. Atrium is the first large-scale restaurant to open in the well-established neighborhood of Los Feliz in recent years. Headed up by chef Hunter Pritchett, pastry chef Gregory Baumgartner and Beau Laughlin and Jay Milliken of Kettle Black, Scout and Sawyer in Silver Lake, Atrium is a splendid indoor-outdoor space. Located off Vermont Avenue, the 3,200-square-foot eatery features a full tree growing inside, wood-beamed ceilings and plenty of exposed brick. Atrium serves hand-crafted cocktails and a new American menu inspired by California’s lush ingredients. On the heels of their fifth anniversary in Downtown L.A., the Mahendro brothers and their father have opened the second location of Badmaash, which brings a taste of modern Indian food to Fairfax, which can be identified as one of the hippest streets in L.A. Badmaash will be in good company with Jon & Vinny’s, Canter’s and Supreme. Recently opened in July at the posh celebrity hotspot Chateau Marmont, Chateau Hanare is a Japanese concept by famed New York City restaurateur Reika Alexander. The kaiseki-style menu presented by chef Abe Hiroki highlights traditional, delicious cuisine one would find upon a visit to Japan. Dinners can enjoy dishes like kampachi, sashimi, uni toast and various small plates in the subdued yet elegant cottage-style space. Called Downtown L.A.’s most exciting new restaurant and lounge by Eater Los Angeles, DAMA is the latest concept by the Scopa Team’s Steve Livigni and Pablo Moix. This pan-Latin restaurant is the newest offering at the Fashion District’s City Market South. Chef Antonia Lofaso serves fine tapas, seafood and meat dishes and diners can order the perfect blended cocktail or glass of wine to pair with their meal. The beautiful space, which includes an outdoor patio and an upper-level dining room and lounge, exudes tropical island vibes with vintage Latin flavor. A new food hall steps away from the recently opened Banc of California Stadium debuted as The Fields LA in Downtown L.A.’s Exposition Park in August 2018. This 200-seat food hall features seven trendy eateries from award-winning chefs as well as a 90-seat outdoor café and event deck. The Fields LA is open to the public on both game days and non-game days. Fiona is the first standalone pie and bread shop by blue ribbon-winning pie maker and pastry chef Nicole Rucker and former Simbal chef Shawn Phawn. Rucker has previously brought her creative touches to the kitchens at CoFax, which she co-owns, as well as Gjelina and Gjusta. Fiona is an all-day eatery open from 8 a.m. to 9 p.m. along the hip stretch of Fairfax Avenue. From cart to truck to brick and mortar, Wes Avila can do it all. Chef Wes opened his first restaurant in August 2018, focusing his full attention on the brick and mortar establishment. On the menu: tacos, as well as drinks and more. Located behind Triple Beam Pizza on the buzzing stretch of Figueroa Street in Highland Park is Hippo, the recently opened New American project by James Beard award-winning chef Matt Molina and Silverlake Wine owners Joe Capella and Randy Clement. The 80-seat restaurant, which features high beamed ceilings, sleek wooden tables and bright orange wallpaper, serves simple but delicious dishes featuring pasta, vegetables and meats at a reasonable price-point for the incredible quality. Located inside the Brooklyn-style Lupetti Pizzeria is one of the hippest new bars in the Arts District. In Sheep’s Clothing is inspired by audio-focused lounges and cafes in Japan known as kissaten. Zach Cowie has curated an all-vinyl playlist for this tucked away speakeasy that is part listening lounge, cocktail bar and coffee shop. Visitors are encouraged to sip on some handcrafted Japanese Whiskey, snack on a fresh pastry delivered from Friends & Family and enjoy relaxing jazz in this stylish and classy joint. Tucked away in Japan House at the Hollywood & Highland Center, Inn Ann is a modern Japanese spot in which opened in late November. Inn Ann is set to be as unique as Japan House itself, which is a cultural project sponsored by the Japanese government. The dinner restaurant will be operated by Executive Chef and sushi and rice master Mori Onodera and will offer gorgeous views, 35 seats and a bar. Chef Mori Onodera’s tasting menus are offered in several variations, including vegetarian and sushi, and focus on fresh California farmers’ market ingredients.